A few weeks ago, my cousin and I went on an amazing short break to NYC. As we knew we only had a short time there and wanted to see (and eat) as much of the city of possible, we knew we had to use our time wisely. One Sunday afternoon we sat down and planned out everything we wanted to do using the method I’m going to show you today and the plan turned out brilliantly. In 4 days we saw (and ate) so much of our destination, spent minimal time on public transport and had zero arguments. Okay, maybe one about finding a toilet but none about what we were going to do that day. Haha! 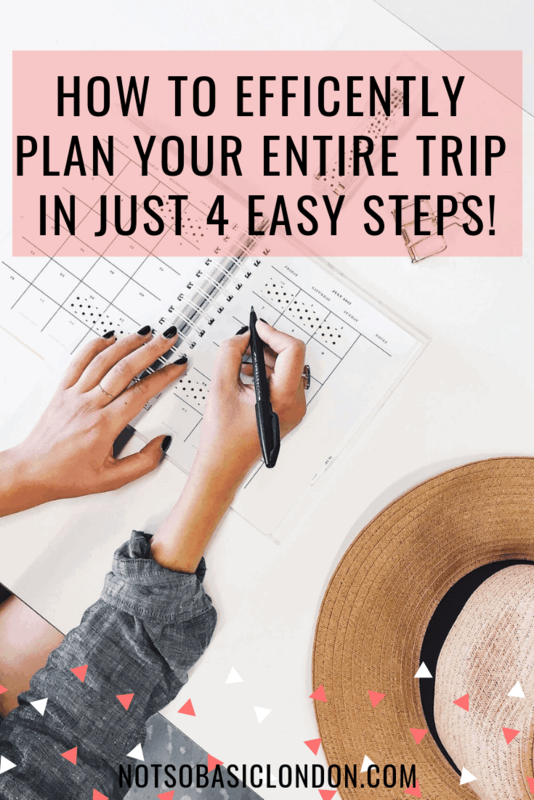 As our plan was so successful I wanted to share with how to efficiently plan your entire trip in just 4 easy steps to you get the most out of your time, your money and your destination. 1. First things first … research, research, research! If you’re anything like my mum you might be the type of person who likes to throw caution to the wind and just go with the flow on holiday. While there are some advantages in doing that I can’t stress enough how important it is to have some idea of what you want to do, things you want to see and places you want to eat before you go on holiday. You absolutley don’t want to be wasting your time while you’re there googling and planning what you’re going to do that day. That’s not fun at all and neither are the internet roaming charges! 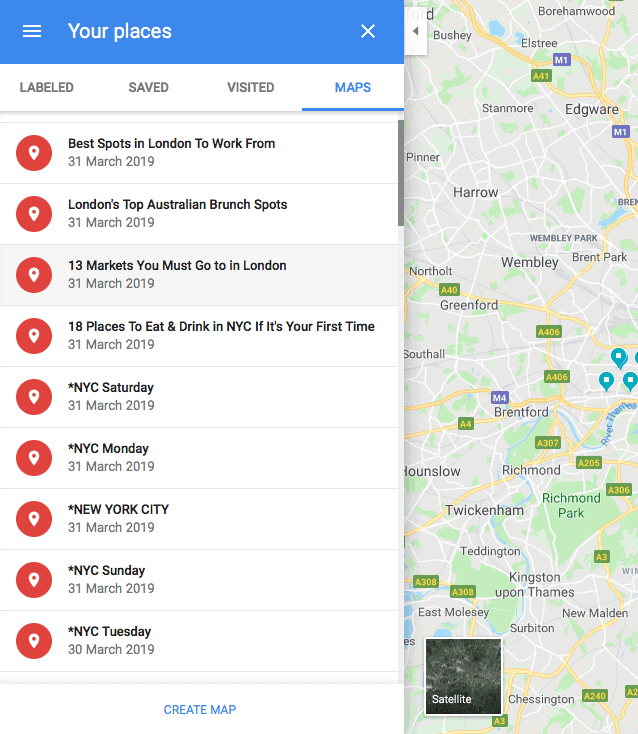 There’s so much content online of the best things to do in each city (… and if it’s London you’re in the right place on my website) and in particular Google, Instagram and Pinterest are where you will want to be spending your time. 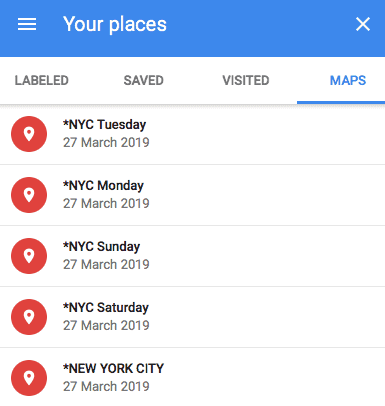 Once you have the list of places you want to go, create a Google account or log in if you have one already. 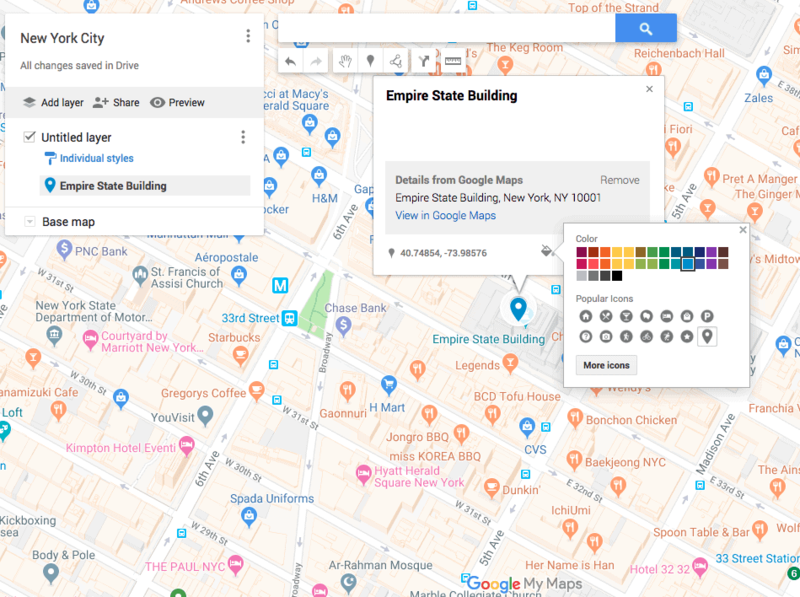 The first thing you’ll do is create a bespoke Google map. 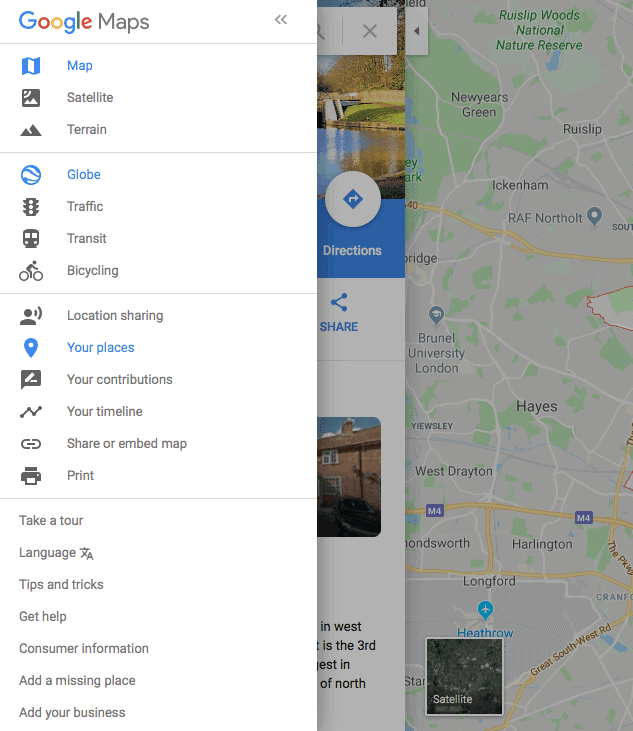 A bespoke google map will allow you to pin places to a map, name it and save it for future reference. Once you’ve done this you click the menu at the top of the page and then click ‘Your Places’. Once you’ve hit ‘Your Place’ find and click create map at the bottom of the page. 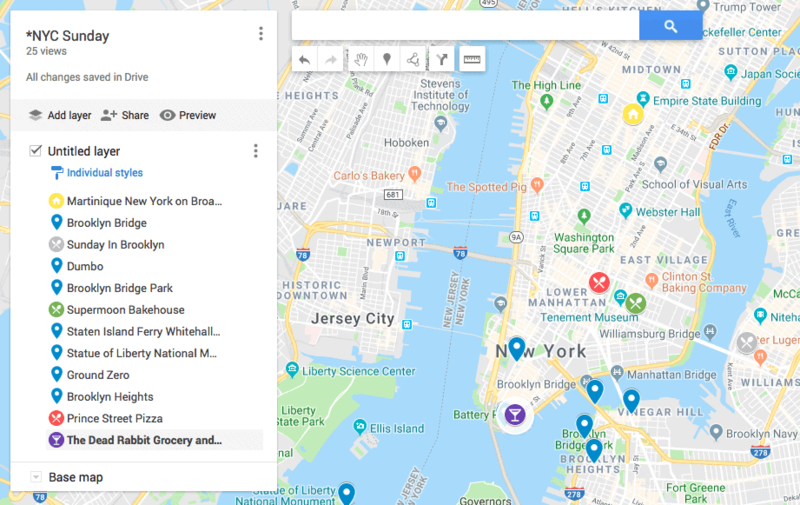 Now you’ll want to name the map for your trip. For example NEW YORK CITY TRIP. Take all the places you want to go, search for them and hit ‘Add to Map’. You’ll want to pin ALL of the places you want to go on this map! I went that one step further in the food category and added different colours for breakfast, lunch and dinner. Now you have everywhere pinned you want to go you’re going to want to create separate maps for each day you’re there. The aim of this is to tackle the things you want to do that are in the same area so you’re not wasting your time jumping all over the place and on public transport. 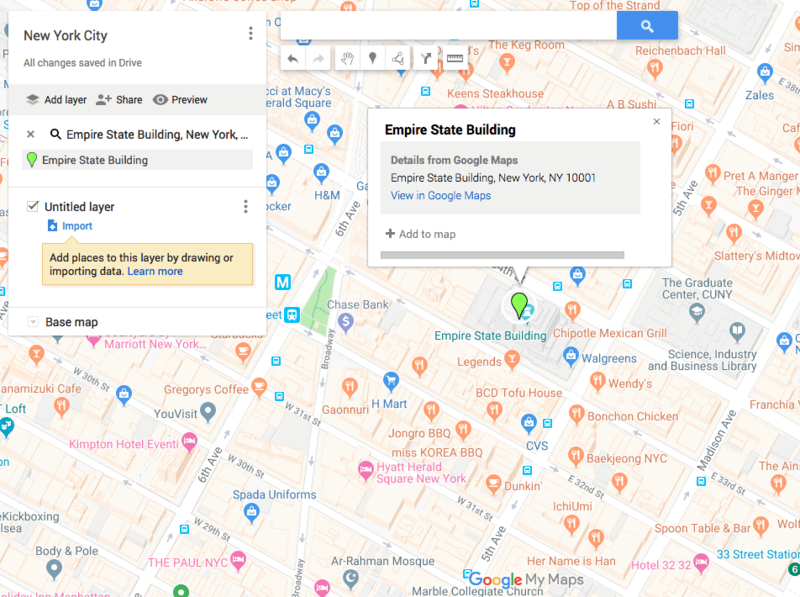 As an example, in NYC we looked at the overall map and decided we were going to tackle all the things on the upper east side one day, uptown another day and downtown on the last day. 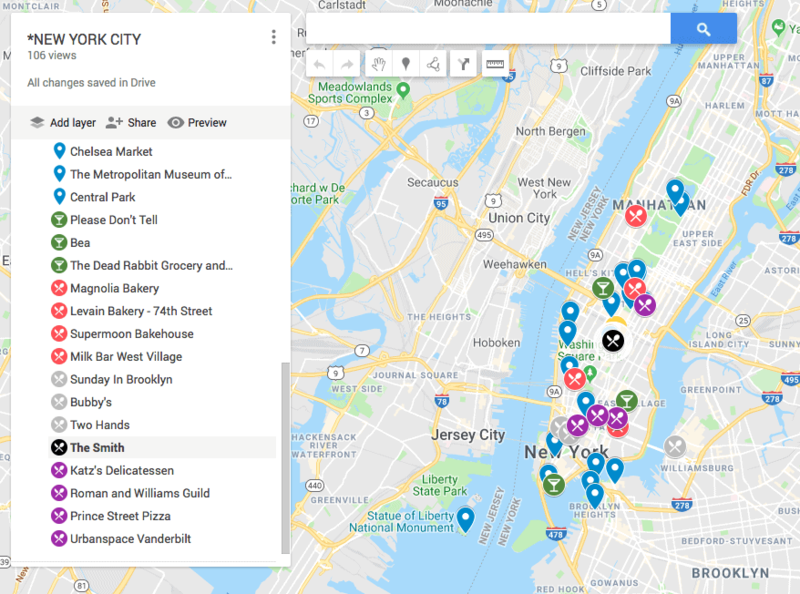 Then we created daily maps grouped by area, pinning the places we really wanted to go to first and then based the rest of our day around those. In our case we made sure we had at least one breakfast place, 3 touristy spots, a sweet treat, dinner and bar. That way we felt like we would be able to experience the absolute most out of the city! … AND THAT’S IT. YOU’RE DONE! Eh voila! Your entire trip is planned out in just 4 easy steps. I know it might *seem* complicated with all my screen shots but once you read through you’ll realise it’s really not and I was just being super detailed to make sure you understand exactly the steps I took. All that’s left to say is have an *amazing* trip and I hope this method helps you make the most of it! P.S If you’re staying in London you’re in the right place and there are so many helpful guides on my website to make sure you eat at and see some of the best places. I’d recommend looking here, here and here.